Tokyo, October 6, 2017 – Subaru Corporation today announced that the Insurance Institute for Highway Safety (IIHS; a nonprofit organization supported by auto insurers in the US) has awarded their highest possible safety rating, 2017 TOP SAFETY PICK+ (TSP+) to the redesigned 2018 Subaru Crosstrek* and WRX in addition to the 2018 Subaru Legacy, Outback, Forester and Impreza (when equipped with Optional EyeSight and specific headlights). In addition to across-the-board good crashworthiness ratings, the Crosstrek has optional front crash prevention that earns a superior rating. 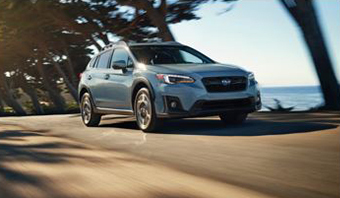 In IIHS track tests at 12 mph and 25 mph, a Crosstrek equipped with Subaru’s original EyeSight driver-assist system avoided collisions. It also has a forward collision warning system that meets National Highway Traffic Safety Administration criteria. Meanwhile, improved headlights boost the 2018 WRX into TSP+ territory. 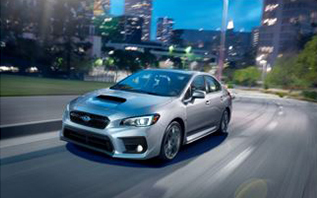 When equipped with high-beam assist and LED lights that come with the Limited trim, the 2018 WRX earns a good headlight rating. *: “Subaru XV” in markets outside North America.